We'd like to give you a book, for free. 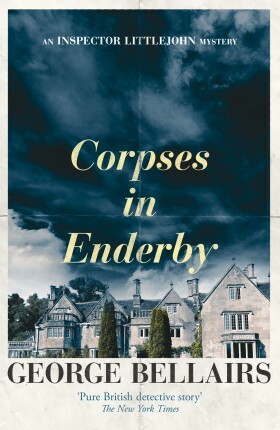 Discover the world of Inspector Littlejohn in Corpses In Enderby, a George Bellairs classic. You just need to tell us where to send it. The many admirers of Sergeant Cromwell, faithful assistant and friend to Superintendent Littlejohn, will learn with dismay that, whilst attending the funeral of his uncle Richard, in the pretty Cheshire village of Rushton Inferior, he is shot through the head. The fact that Cromwell is quite unknown in Rushton raises the questions of whether or not the crime was an accident or deliberately done. Littlejohn, casting all other tasks aside, hurries north to the hospital where his sergeant is lying and there the surgeon tells him that the crime was committed by the smallest bullet he has ever seen. A shot from a pop-gun, in fact! The famous Superintendent settles down in Rushton Inferior, gets to work, and there unravels a series of stories and incidents, some comic, others tragic in the extreme, all of which finally lead him to solve the case. Throughout the course of the investigation, the most courteous of all detectives is accused of bad-manners and rudeness, but the convicted criminal in the end writes to him from prison and thanks him for being a true friend! 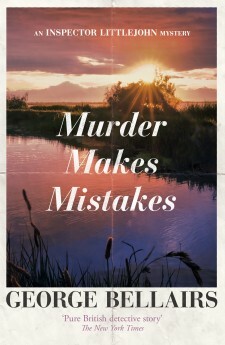 Murder Makes Mistakes was originally published in 1958.